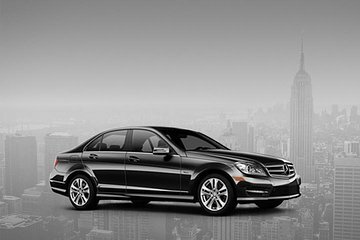 Enjoy a hassle-free arrival in London by pre-booking a private arrival transfer from Heathrow Airport. Your driver will greet you on arrival at the airport, help with your luggage and drive you directly to your central London hotel. Transport is by comfortable Saloon or Sedan with room for up to four people. Great Service and very professional. Found me easily and took me right to my destination. Would absolutely use this service again. Car was clean. Driver friendly and on time. Had to wait a little as the plane arrived early. Overall a good experience. Driver meet and greet went exactly as planned and driver was very professional. Perfect way to start off our trip to London. Car called and pick-up easy. After my flight arrived, apparently they give one hour free and then you pay 35 pence per minute. Also, driver made me pay parking . Had to call company and my 13 pounds parking they swapped for waiting time. This transfer was excellent. Our arrival was delayed due to London fog, and my cell phone was not working, so I was concerned that the driver would give up on us, but no, he was there waiting. What a welcome relief. He was very cordial and offered pleasant conversation during the drive into central London. Highly recommend.